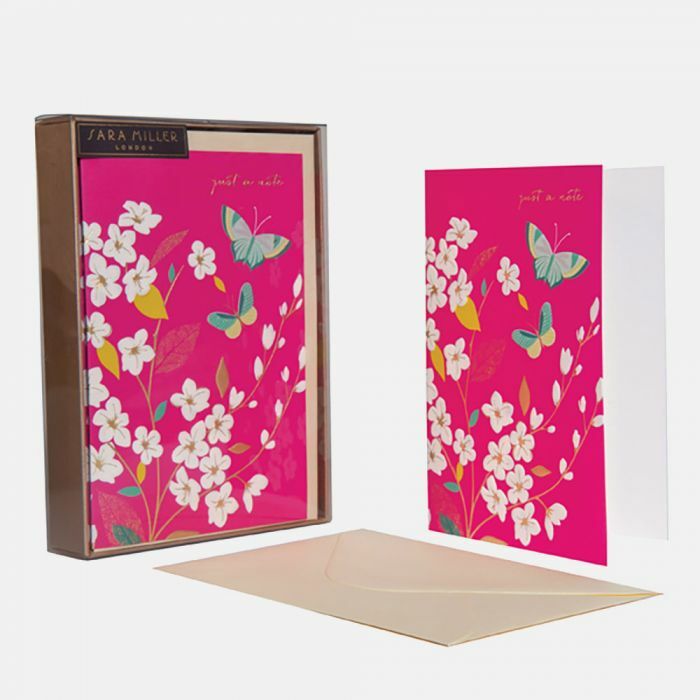 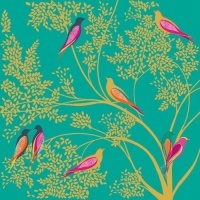 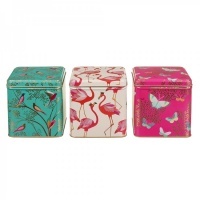 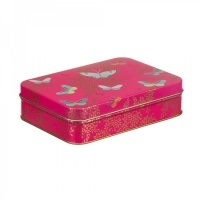 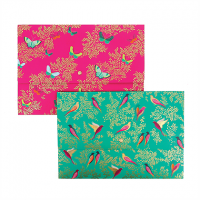 Butterfly and Blossom Notecard Set from Sara Miller London. 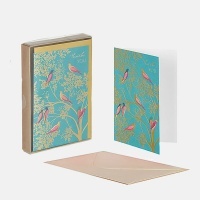 This set of cards has the words "just a note" in the top right corner, and is beautifully finished with textured gold foils and embossed details. 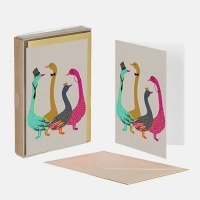 The cards are blank inside for your own personal message.